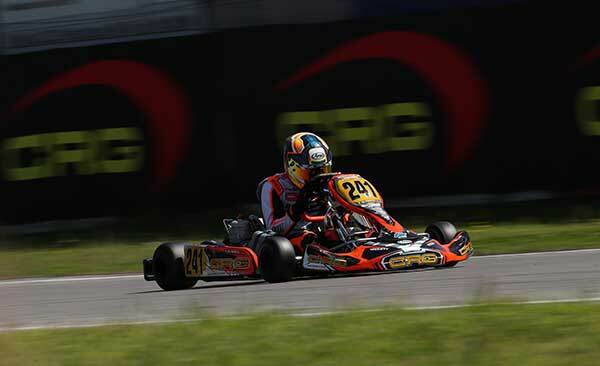 The performance of CRG drivers at the fourth and closing round of the WSK Super Master Series has been very high in the second weekend in a row at the International Circuit Napoli of Sarno. 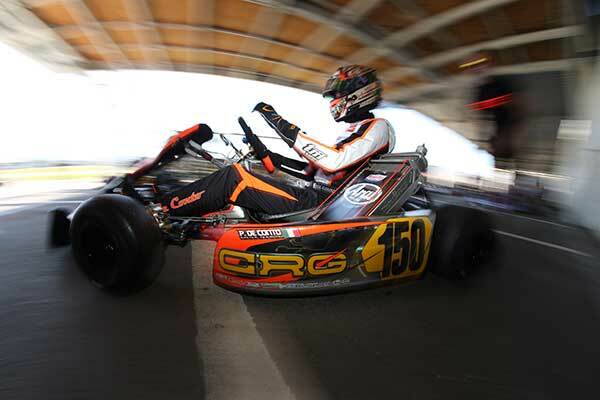 CRG drivers have been in the fight for the title in all categories and are all set to be protagonist in the forthcoming European CIK-FIA Championships. 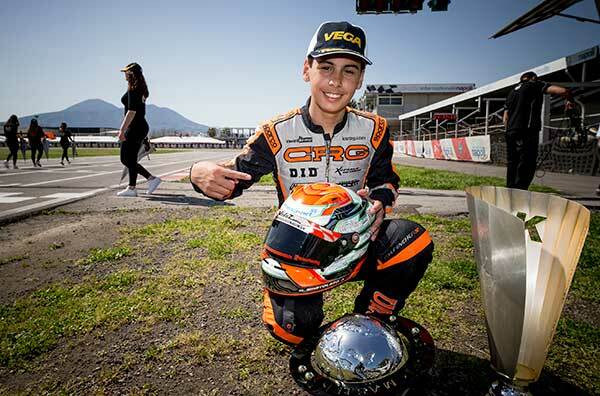 CRG hopes in OK-Junior were mainly on Gabriel Bortoleto, and the young Brazilian driver has been among the quickest also in this occasion, securing P1 at the end of heats after a troubled qualifying session. The Final run by Bortoleto has been amazing too: he claimed a second place finish, despite starting sixteenth due to an off-track excursion in Prefinal. Bortoleto ended second in the final classification, just one point short of the top, which shows that he is certainly ready to fight among the main protagonists at the forthcoming European Championship, that will kick off from Sarno next April 22nd. Among the other CRG drivers, Adam Putera was 23rd in the Final, while Alfio Spina has been hit by bad luck despite showing a good growth in Sarno and claiming his maiden pole position in Junior. Resolute to run a good race, Spina was involved in an incident in Prefinal-B which did not allow him to take part in the Final. Xizheng Huang, Enzo Trulli, Tyler Maxson and Elio Giovane could not qualify for the Final either. The Final was won by Paul Aron, while the championship was went to Gabriele Minì. Pedro Hiltbrand could not capitalize on the starting P5 on the OK starting grid due to an excursion that made him lose several precious positions in the heat of the first lap. This round has nevertheless been very positive for Hiltbrand, despite an incident in one heat that did not allow him to get a better starting position in Prefinal, which he managed to end with a strong and excellent P3 anyway. Hiltbrand closed the final in fifth place and he was fifth also in the final classification of the championship. Kilian Meyer was 17th in the Final, Ayrton Fontecha 23rd, Andrea Rosso 25th, while Franco Colapinto had to retire due to an incident instead. 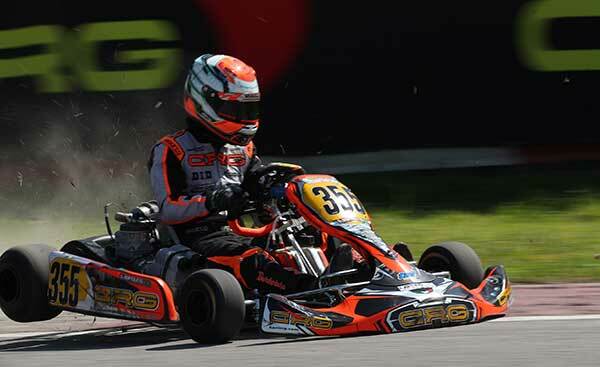 An incident in Prefinal involved team mates at CRG Callum Bradshaw and Olin Galli. This incident did not have consequences for the two drivers, but both could not qualify for the Final though. Javier Sagrera of Team M2 Racing Karts was 13th in the Final after a strong qualifying. The Final was won by Hannes Janker, who also won the Championship. In KZ2, the most powerful category, Paolo De Conto put in a overwhelming comeback in the closing weekend of WSK Super Master Series. Starting from qualifying practice he has been very strong to halfway through the Final, when he engaged a great duel with Alex Irlando to defend his P2 behind Ardigò. De Conto had to concede his place to Irlando and shortly after also to Hajek, eventually settling for P4. De Conto closed the championship in third place, while the Final and the Championship went Marco Ardigò’s ways. Among the private drivers on CRG, Ciro Mollo has been the quickest in P11, while Alessandro Giardelli of the CRG Racing Team was 14th and Marco Valenti 21st. Andreas Johansson in P20. One of the main protagonists in Mini on CRG run by Team Gamoto was the Russian Dmitry Matveev, who claimed the pole position and was leading the pack after heats. Matveev ended the Final in 13rd place, after being fourth in Prefinal-A. The Final was won by Martinius Stenshorne, who also won the championship. The next appointment with international karting will be in Sarno on April 22nd for the opener of the European OK and OK-Junior Championships.